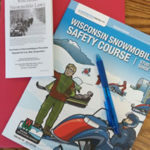 If you were born after January 1, 1985 and are at least 12 years old, you required to have a snowmobile safety certificate in order to operate a snowmobile on public trails and areas in Wisconsin. Here is some information on how you can get your safety certificate. Check back this fall for the list of snowmobile safety courses being held in Waukesha County. For a complete list of a snowmobile safety classes taking place throughout Wisconsin visit the DNR’s Go Wild Web site to search for a class near you (Check back as this list is updated frequently). If you are over 16 years old you can take an online snowmobile safety course. However, it must be approved by the Wisconsin DNR. You will also need a WI DNR Customer Number. Visit Snowmobile-ed.com for all the information you need to register for this DNR approved online course. Check back this fall for the 2017/18 snowmobile safety schedule.